Combine dry ingredients in a food processor or a bowl. Pulse in butter to food processor or mix in a bowl with a pastry cutter or fork. Dough will look like cornmeal. Bake for about 20 minutes until crust is lightly browned. While crust is baking make filling. Combine all ingredients for filling in a large bowl and whisk together until well blended. When crust comes out of the oven, turn the temperature to 325 degrees, pour filling on top of the hot crust, return to oven and bake another 20 minutes. 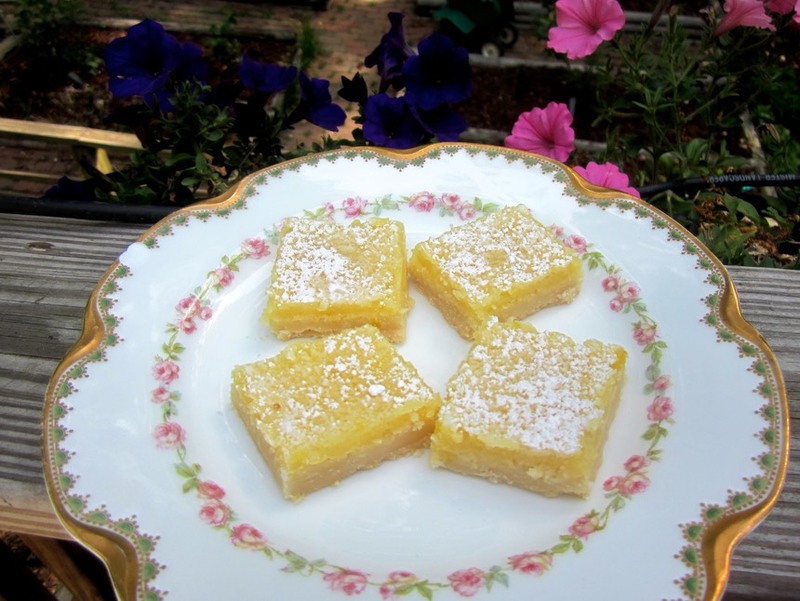 Allow Lemon Squares to cool completely before dusting the top with powdered sugar.